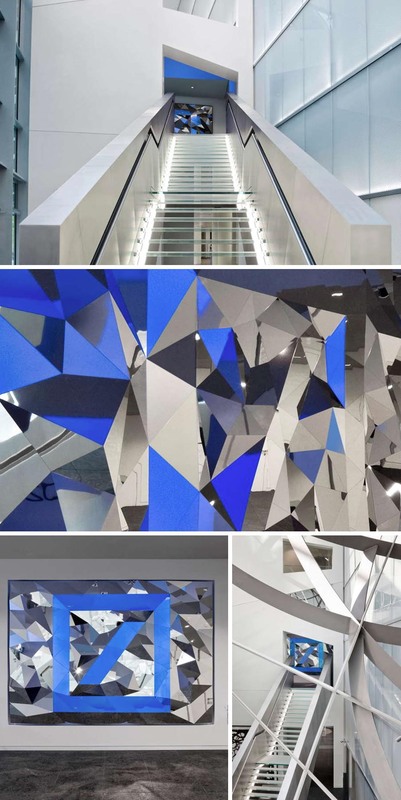 Berlin-based interdisciplinary design studio ART+COM was asked by Deutsche Bank to create an installation for a vestibule near the conference room in the company’s headquarters. The brief stated the inclusion of the bank’s iconic logo (designed by Anton Stankowski) in the work. 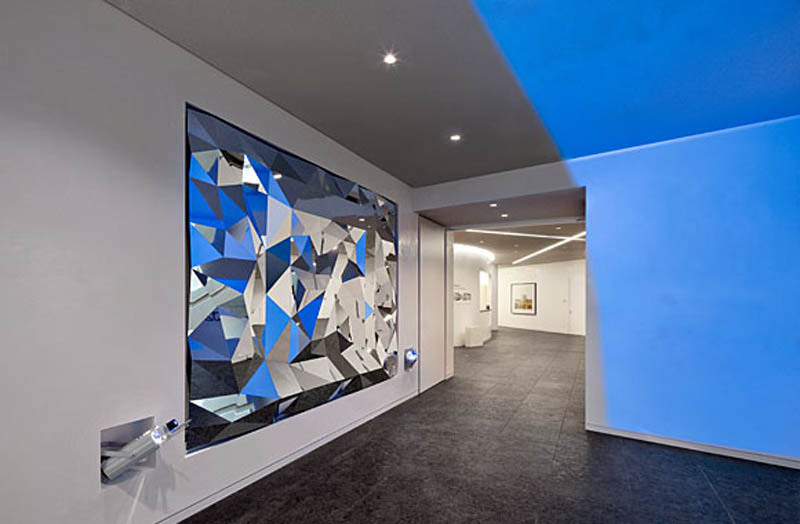 In order to avoid a huge logo dominating the small 25 square foot space, ART+COM opted for a less obtrusive and more poetic approach: anamorphosis. 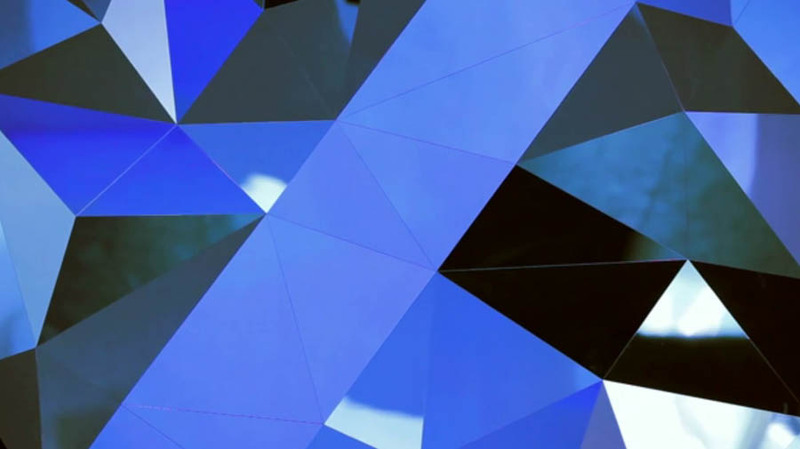 As the visitor climbs the staircase, the abstract mirrored sculpture slowly reveals the logo, but it’s not until the top of the stairs are reached that the image is fully resolved.